The Gallery is committed to delivering innovative programmes for families and children in order to enhance access to its collections and resources. The Creative Learning Centre, supported by the Joyce Fisher Charitable Trust, is the cornerstone of family programming at the Gallery and offers our youngest visitors a space to explore art. Working with local contemporary artists we connect audiences to current artistic practice, original artwork and creative ideas. The Todd Foundation Creative Learning Centre is a space designed for families and children and dedicated to the exploration of artistic practice and creativity. Since 2011 Auckland Art Gallery Toi o Tāmaki has worked collaboratively with artists to create exciting hands-on experiences in the Creative Learning Centre. In this time the Gallery has presented four different interactive installations receiving over a quarter of a million visits. Developed as a collaborative project by Auckland Art Gallery and Auckland University of Technology’s Colab, this interactive installation takes its inspiration from the visiting exhibition Light Show. Visitors experiment with and explore light, technology and sound using fun multi-media inventions created especially for children and families. Sean Kerr’s installation What’s It Doing? explored where ideas come from, what an artist does with those ideas, and how we as an audience participate and respond. The artist’s sculptural installation invited visitors to physically step into Kerr’s art and experience the slapstick humour that is part of his practice. Interacting with Kerr’s ‘misbehaving machines’ visitors activated an ‘idea machine’, watched as the giant eyes followed their movements, and played with placards that explored Kerr’s practice. May the Rainbow Always Touch Your Shoulder explored and celebrated colour and its various cultural, spiritual and environmental associations. In this installation, the Creative Learning Centre featured two works by the artists: Dusted with Spices of a Million Flowers and The Direction of Sunbeams. Visitors were encouraged to experiment with and participate in the creative process through a series of hands-on activities inspired by the artworks. Gazillion Swirl explored artist Reuben Paterson’s world of looking, discovering, understanding and making. Visitors encountered Paterson’s large-scale work Whakapapa Get down Upon Your Knees and explored kaleidoscopes of colour and shape through activities inspired by the artist’s practice. The support of The Joyce Fisher Charitable Trust has allowed Epsom Girls Grammar School to provide world-class facilities for the growth of arts and sport in the school and in the community. These areas are regarded as essential for the broad development of students’ key competencies and leadership skills which complement their academic achievement. The Joyce Fisher Charitable Trust has supported the Old Girls Archives, the Lady Fisher Auditorium, a professional venue for the Arts in the school and more recently the new state-of-the-art Joyce Fisher Sports Centre. It is a legacy that enriches the lives of all the students who pass through the gates of Epsom Girls Grammar School. The Lady Fisher Auditorium provides a professional venue for the Arts in the school. Students have the pleasure of performing on the stage or of being in the audience for the many wonderful productions which are performed there. The Music and Drama departments are enriched by the opportunities provided by this facility and they have produced many students who have chosen to continue their studies in these areas. Epsom Girls Grammar School puts a high focus on a broad education which includes physical education and health as a compulsory subject up until year 12. The newly completed Joyce Fisher Sports Centre has provided a wonderful venue for all students to develop new skills in these programmes and to perform at even higher levels in their sporting codes. This world-class facility has redressed an historical disadvantage for the school as girls’ schools were never funded as generously for gymnasiums as boys’. The Joyce Fisher Charitable Trust has allowed the school to give girls’ sport and exercise the profile that it deserves. Both of these venues benefit the community by providing facilities for musical and dramatic performances and for practice and competition in a variety of sporting codes. The Northern Mystics and other high profile netball teams have valued the facilities which the Sports Centre provides in such a central position in the city and badminton, futsal and ultimate frisbee are played there regularly by players of all ages. The support of the Joyce Fisher Charitable Trust has allowed Epsom Girls Grammar School to provide world-class facilities for the growth of arts and sport in the school and in the community. These areas are regarded as essential for the broad development of students’ key competencies and leadership skills which complement their academic achievement. They are essential in the development of the strong, confident, caring, life-long learners described in the vision of the school. The Halberg Disability Sport Foundation is a charitable organisation founded in 1963 by Olympic legend, Sir Murray Halberg (ONZ) on the belief that all people, regardless of their ability, should have equal opportunity to enhance their lives through sport and recreation. Since 1963, the Foundation has worked tirelessly to make Sir Murray’s vision a reality for New Zealand’s physically disabled people. From humble beginnings, the Foundation now stands as the lead agency for physical disability sport and recreation in New Zealand. 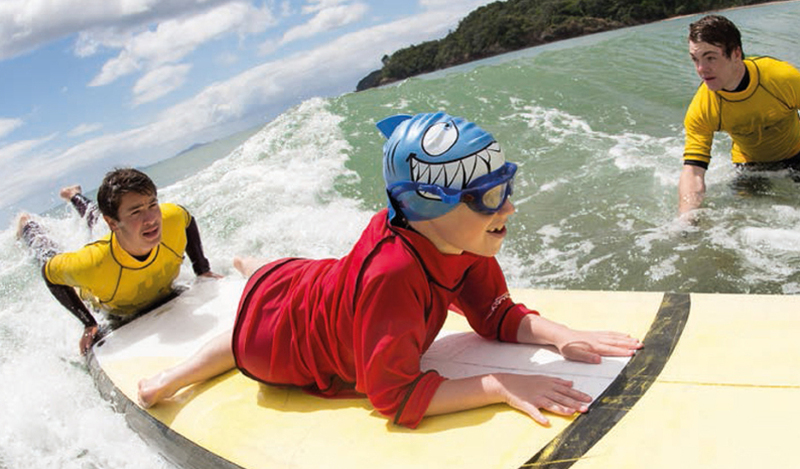 Our vision: Sport and recreation for all New Zealanders – no exceptions. Our mission: Enhancing the lives of physically disabled New Zealanders by enabling them to participate in sport and recreation. Employment of 10 regional Disability Sport Advisers throughout New Zealand. These dedicated and expert staff work with physically disabled young people and their families to get them involved in sports and recreation. They also collaborate with schools, local sport and recreation organisations, facilities and clubs to raise awareness and capability for the provision of inclusive sports programmes and events. The Halberg AllSports Activity Fund provides grants to physically disabled young people (under 21 years) to help overcome the financial barriers that prevent them from participating in sport and recreation. These grants help pay for sports equipment, lessons and assistance at school camps. 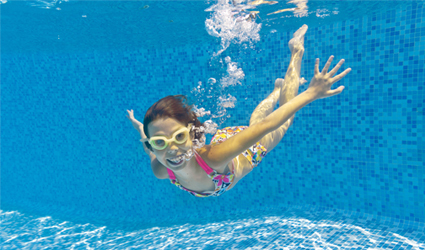 From 1 July 2013 – 30 June 2014 the Foundation approved 364 Activity Fund grants. No Exceptions Training (NET) – a nationwide training package on adapting physical activity to include physically disabled New Zealanders in mainstream programmes and events. The aim of a NET is to increase knowledge and skills of teachers and sport deliverers to give them the confidence and resources to deliver quality sporting opportunities to physically disabled people. The Foundation works closely with Sport New Zealand and the nation’s network of Parafed organisations, National Sport Organisations, National Disability Sport Organisations, Paralympics NZ, Regional Sports Trusts and educational institutions to ensure that its mission is delivered with maximum effect across the full sporting landscape. By working with physically disabled people and the organisations which provide their sporting and recreational opportunities the Foundation seeks sustainable changes that will influence the growth of a more inclusive society. The partnership with the Joyce Fisher Charitable Trust provides essential support for the delivery of programmes that will assist the Foundation to realise Sir Murray Halberg’s vision: Sport and recreation for all New Zealanders – no exceptions. Six year old Ted McKenzie, who has cerebral palsy and is deaf, has spent much of the last year with his legs in casts after undergoing surgery to improve his walking. The youngster from Raumati Beach was desperate to get back on his bike as soon as possible, so once he had his doctor’s ok, he was off. Just before his surgery, Ted had received an Activity Fund grant to cover the costs of a specialised tandem bike that allows him to ride with a support person. With this bike, he has been able to get places he never believed possible. He rides to and from school and has competed in the Tour of Waikanae and the Manfeild six hour event. 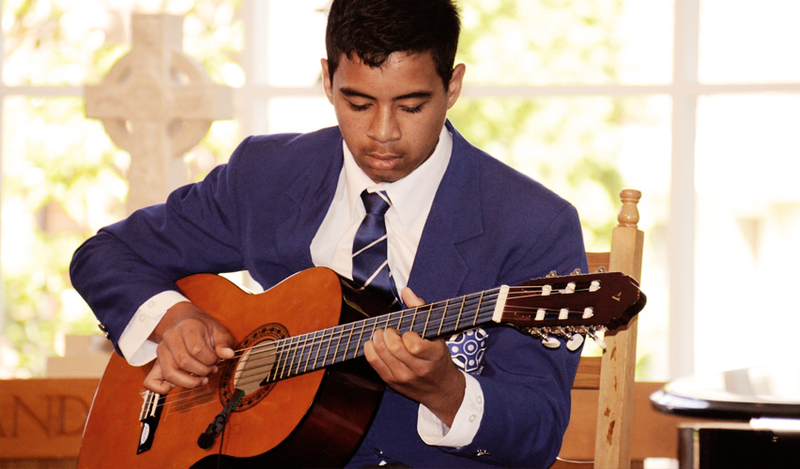 Saint Kentigern has a long and proud history of excellence in education. Its mission is to provide education which inspires students to strive for excellence in all areas of life for the glory of God and the service of others alongside a vision of developing graduates who will serve and lead with distinction. In 2012 the four new full scholarships were established to be awarded to Maori and Pasifika students who display leadership potential with the hope that recipients will be able to give back to their communities. Saint Kentigern has a long and proud history of excellence in education. 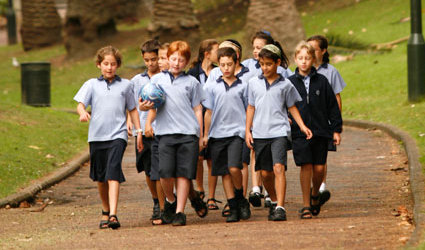 Originally established in 1953 to provide education for boys based on the precepts of the Presbyterian Church, the College in Pakuranga, followed six years later by the Boys’ School in Remuera, quickly confirmed their place amongst the best independent schools in New Zealand. The introduction of girls to the College campus in 2003 marked the start of a new era for Saint Kentigern and a new educational model. 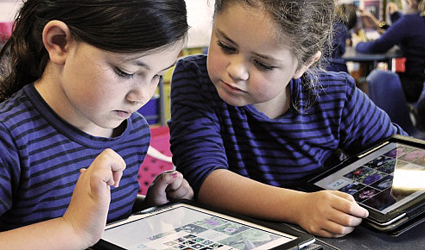 In more recent years, the merger with the Corran Trust Board in 2009 saw Saint Kentigern open an all girls’ primary school in Remuera as a sister school to the long established all boys’ primary school. As a natural extension, a Preschool for boys and girls was opened in 2010 on the Girls’ School campus completing the educational pathway for Saint Kentigern families. Over the course of 62 years, the Saint Kentigern community has remained deeply respectful of its heritage, staying true to its founding Christian principles and Scottish heritage. In 2012 a framework for the future 2012–2016 was formed to unify the schools with a shared vision, mission, and values. Respect, integrity, service, excellence and love. In 2012 the Saint Kentigern Trust Board was delighted to announce the establishment of four new full scholarships available at the Year 7 level. They were established at the suggestion of, and with the cooperation of, the Joyce Fisher Charitable Trust. The new scholarships are awarded annually for Year 7 students; two at Saint Kentigern Boys’ School and two at Saint Kentigern Girls’ School. These scholarships are awarded to Maori and Pacifika students who display outstanding leadership potential while having all round ability. Particular interest is focussed on candidates who will benefit from the opportunities on offer at Saint Kentigern. In turn it is hoped that the recipients will be able to give back to their communities. Unlike other scholarships available for students to attend Saint Kentigern, families cannot apply for a Joyce Fisher Scholarship. Candidates are recommended by the principal of their current primary school. 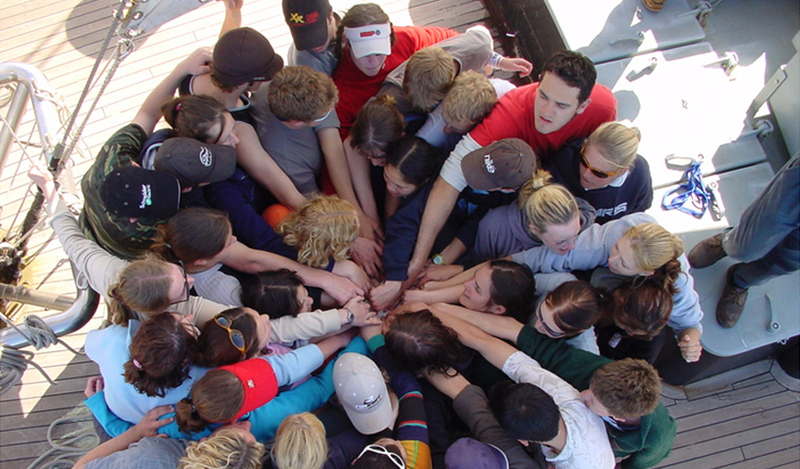 In keeping with Lady Fisher’s legacy and mission statement, ‘to make New Zealand a better place by providing young New Zealanders with opportunities that enhance their leadership skills and values, creating community, role models and future leaders’, the Trust’s commitment is to identify and develop future leaders, offering opportunities that their families might not otherwise afford. Following the success of the programme to date the Joyce Fisher Trustees are keen to ensure that the benefits of the scholarship are not lost to highly successful candidates at the end of the two year period of their intermediate education. Scholarships may be made available to such candidates for their ongoing secondary education. From the inaugural recipient of the Joyce Fisher Charitable Trust scholarship in 2012 there are currently eight students attending the Boys’ and Girls’ Schools with five students attending the College having successfully completed their intermediate years. All students have responded well to the opportunities on offer excelling in all areas of school life by making the most of the opportunities available. Leadership has certainly been evident with many of the scholarship students being appointed as prefects of the schools or seniors in the various groups available. The initiative, philanthropy and support of the Joyce Fisher Charitable Trust cannot be underestimated. Their vision and commitment to education is making a difference in the lives of both the selected students and our Saint Kentigern community. We are indeed blessed to be a part of this programme. 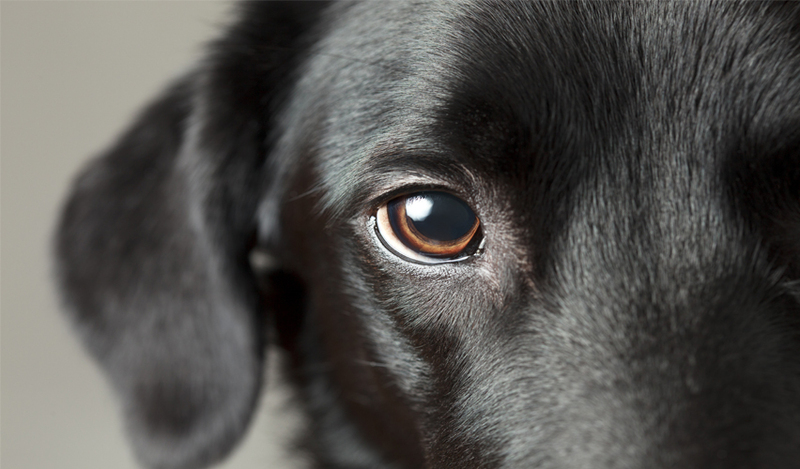 The Society for the Prevention of Cruelty to Animals Auckland Incorporated is one of Auckland’s oldest charities celebrating over 130 years of service to the animals of Auckland. The Joyce Fisher Charitable Trust assists SPCA inspectors in their enforcement role in bringing animal abusers to justice, to pay for medical equipment and remedies for our animal hospital at the animal village, providing funding for the rehabilitation and eventual re-homing of animals in need, and supporting our educational activities which are so vital in the prevention of cruelty to animals. The Society is unique in that it relies entirely on donations which come in many forms from the people of Auckland who have generously supported us over our many years of existence. Individual donations, generous estates and grants from various Trusts have ensured we can continue in the wide variety of work we undertake. Without these generous grants from the Joyce Fisher Charitable Trust many of these activities would be difficult to undertake for lack of funding, and for this reason we value very highly the support we have received over so many years from the Trust. Each year the lives of more than 1,400 young New Zealand trainees are transformed aboard the tall-ship Spirit of New Zealand, developing them into future leaders and strong contributors to their communities. The Joyce Fisher Charitable Trust has contributed to the ship’s mid-life refurbishment. It further helps by providing funds annually to assist those families facing financial hardship, to attend the 10-day youth development voyage. Over the last few years, the Joyce Fisher Charitable Trust has generously donated annually which was put towards the ship’s mid-life refurbishment. This significant financial contribution has ensured the ship continues to be set-up in a first class condition, allowing the Spirit’s youth development programmes to be delivered for years to come. Spirit of New Zealand is now over 25 years old, yet her condition looks as good as if she were built today. This funding support towards the ships upkeep is vital, as the main voyage fee charged to youth who attend is kept to a manageable level. This ensures many New Zealand youth can afford to participate, thus annually the Trust needs to find over and above the voyage income of up to an additional $1.3 million dollars to keep the ship functioning now and into the future. Despite keeping the voyage fee as low as possible, there are still some who find this a challenge. Again the Joyce Fisher Charitable Trust helps by providing funds annually to assist those families facing financial hardship, to attend the 10-day youth development voyage. By enlarge, every voyage will have at least one or two youth on board who have received either a subsidy or grant towards their voyage fee, from the Joyce Fisher Charitable Trust and who would have otherwise not been able to attend. These young New Zealanders benefit hugely as it takes them into an environment which allows them to grow and realise that they can achieve far more than what they would otherwise dreamed. The feedback from those who are sponsored bear testimony to the benefits of the Spirit programmes. Supporting university research shows the important benefit our young New Zealanders receive by participating in these once-in-a-lifetime voyages. Thank you sooooo much for this once-in-a-lifetime opportunity. It was truly amazing and are some of the best days of my life. I am still amazed that I got to do this amazing trip. It is a truly amazing boat and an even better experience. To sail such a ship and live the dream is just so amazing. Words cannot express how amazingly awesome this experience is. I don’t know what to say. Without you I would never have been able to do something as amazing as this. Tonight is my last night on the ship and all I want to do is go back and do it all over again. I hope that I can come back as a Leading Hand and help other young teens like me to achieve great things and prepare them for life. I would like to say a huge thank you for donating money to go towards my experience on the Spirit of New Zealand. Without this extra help I would have struggled to pay the amount to come on this voyage. Coming on the Spirit of New Zealand is an extremely wonderful experience. One that I will never forget. It has helped me grow as a person and to understand people in different ways. The Spirit teaches you to be patient, willing to learn, have a better understanding of life, and that everyone is unique in their own way and to respect that about them. The time I spent on the Spirit has enabled and allowed me to have many different opportunities. I took part in activities like sailing small boats, the yard swing, tramping, knot tying and the Spirit mini olympics. The best opportunity on this ship was making new amazing friends. Laura and Josh are only two of the other trainees that I have become good friends with. These great friends and friendships means that the voyage is more fun. One the best activities that I enjoyed was the mast climb. The midship of the Spirit has four yards, containing four sails. Highest is called the royal, followed by the topgallant, yopsail and lastly, the course. On several occasions I was able to climb onto the royal and help pack it away. This was an amazing experience as I loved the view and the height. It only got slightly scary when we had 2m swells causing the boat to rock. I am so grateful for the money that was donated to help me on the Spirit of New Zealand. My voyage has given me many new outlooks on life and many new friends. The Springboard Trust (SBT) works in New Zealand’s education sector to improve student outcomes by assisting educational leaders and their communities grow in strategic, structured and scalable ways. Its efforts stem from the fundamental premise that more effective, strategic leadership will generate improved schools and student outcomes. Through the work of the Springboard Trust many principals have developed clearer strategic visions, goals and plans for their organisations in areas including planning, resource allocation, staff engagement, and stakeholder management. 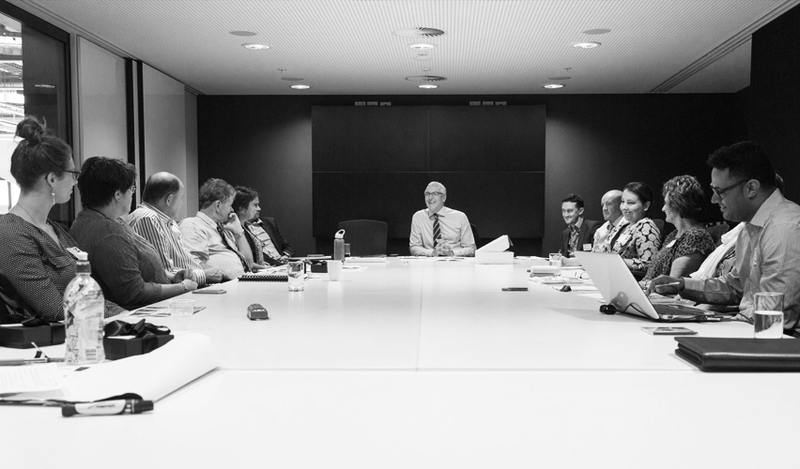 Thanks to its roots in the business community, SBT is able to connect and draw on a multitude of resources in order to focus on the essence of its model – ‘investing in frontline leadership’ – delivering a suite of programmes that leverage, adapt and share best practices across sectors. To do this SBT works via capacity building and strategic partnerships within New Zealand’s corporate and philanthropic sectors. The Hearing House, a children’s charity based in Auckland provides services to profoundly deaf children in the upper half of the North Island. Its Tele CHAT service, funded by the Joyce Fisher Charitable Trust provides therapy to families unable to make the journey to Auckland. Caregivers receive specialised auditory-verbal therapy via Skype each week to expand a child’s vocabulary to the point where they might enter school with age-appropriate language. Rome would be unable to speak without the support of the Joyce Fisher Charitable Trust. Now five and attending his local primary school in Taumarunui, Rome may be profoundly deaf but many people would have no idea of that given that he can hear with his cochlear implants and can speak due to therapy he received via The Hearing House and funded by the Joyce Fisher Charitable Trust. Born in October 2009, Rome’s mother Sarah and father Mike first started to become worried that he couldn’t hear well when a door might slam at their National Park home and Rome would not react. At the age of four months he was diagnosed as profoundly deaf by an audiologist at Waikato Hospital. But the switch-on is only the first step in a deaf child with a cochlear implant being able to hear. In order to learn to speak they need a minimum of three years’ auditory-verbal therapy in order to learn how to interpret those sounds as language and then to develop a normal spoken vocabulary. 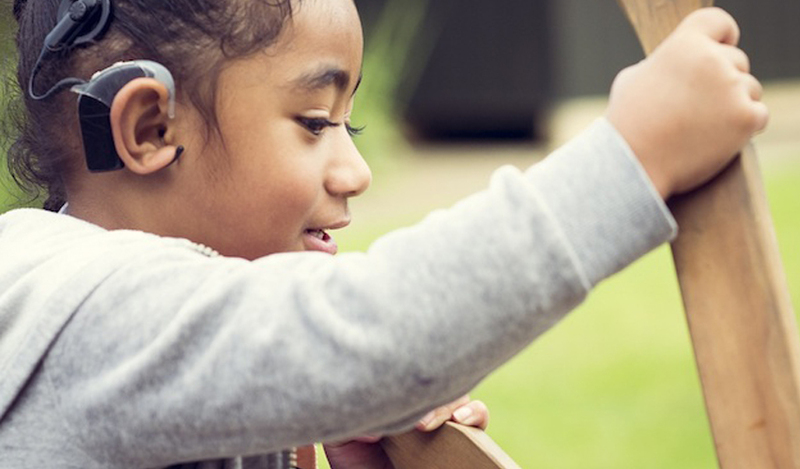 Since switch-on Rome has received audiology and therapy from The Hearing House, a children’s charity based in Auckland that provides services to profoundly deaf children in the upper half of the North Island. He was the first child on its Tele CHAT service, which provides therapy to families unable to make the journey to Auckland each week and which the Joyce Fisher Charitable Trust has funded. It allowed Rome’s mum Sarah to receive specialised auditory-verbal therapy via Skype each week and to expand Rome’s vocabulary to the point where he started school in October 2014 with age-appropriate language. Lady Joyce Fisher was a significant supporter of The Hearing House during her lifetime when she made regular donations from her charitable trust and also visited its premises in Greenlane and, since her death in 2009, her charitable trust has continued to assist The Hearing House and by doing so has transformed the lives of hundreds of deaf children just like Rome. 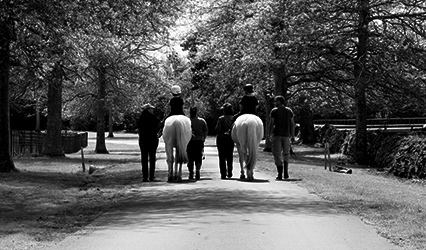 Riding therapy with a difference, where horses help improve the lives of children, adolescents and adults with physical, emotional, psychological and intellectual disabilities. 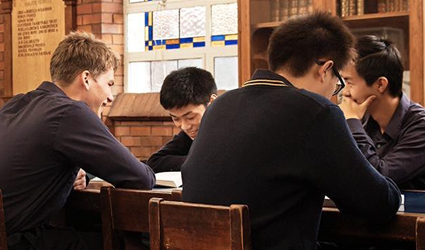 Auckland Grammar School demands excellence across all aspects of daily life providing young men with a rigorous academic education. Young men pursue excellence in acquiring knowledge and skills embracing values of integrity, excellence, respect, courage, pride, commitment and humility. Existing to lead the hospice movement to ensure that every New Zealander has access to quality palliative care. 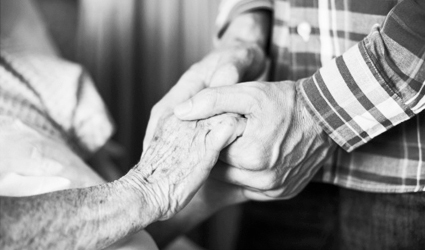 The ethos of hospice and palliative care defined by the WHO is that it ‘intends neither to hasten nor postpone death’. This philosophy is the cornerstone of hospice care in New Zealand. 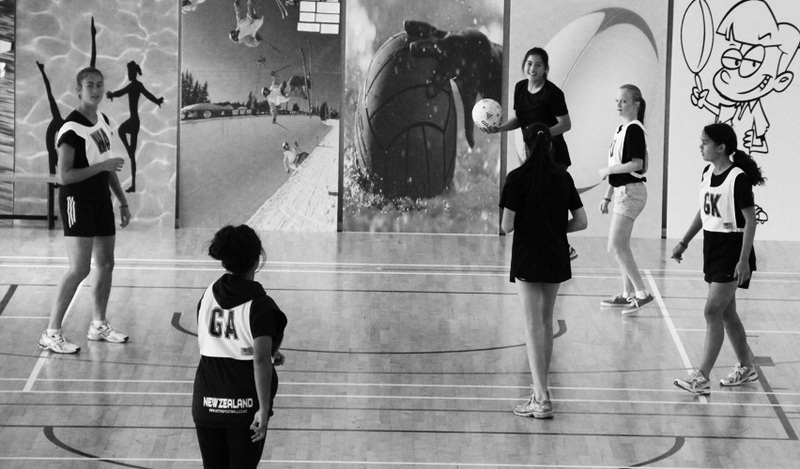 Our aim is to positively impact the lives of young people in Auckland’s areas of greatest need by providing them with opportunities to live healthy, active lifestyles and pursue a positive pathway through sport and physical recreation. We believe this will encourage them to become prosperous citizens, connected with their community. Kadimah is a co-educational Jewish day school for boys and girls, which prides itself on providing the highest standard of Jewish religious, cultural and all-round secular education. It teaches children to treasure Jewish culture, religion, sense of history and ethical purpose and a love for New Zealand. 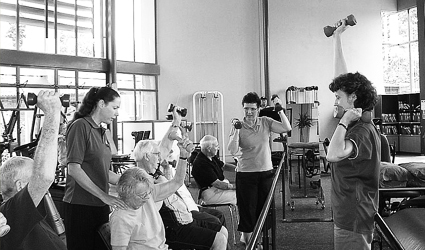 The Trust focuses on providing expert rehabilitation services with a special focus on the neurological field where it meets the needs of New Zealanders who have either congenital or acquired conditions including traumatic brain and multi-trauma injuries, stroke, cancer, parkinson’s disease and huntington’s disease. Helping to create better people, better communities, better world. 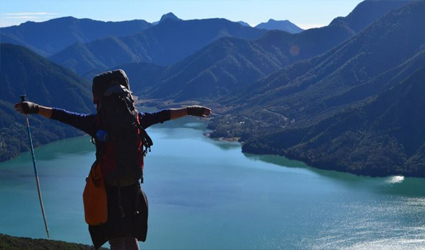 Outward Bound New Zealand’s mission is inspiring personal and social development through value based experiential learning in an outdoor environment. 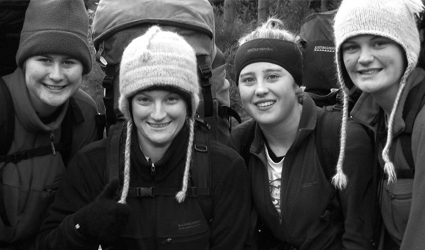 Outward Bound is founded on universal values: compassion, greatness, responsibility and integrity. 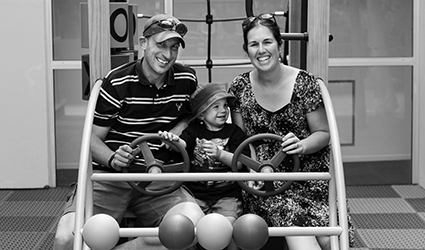 Ronald McDonald House Auckland (RMHA) takes care of Kiwi families throughout their children’s medical journeys. We provide free accommodation and support to Kiwi families whose child has been admitted into the National Children’s Hospital for specialist medical treatment. Saint Kentigern is one of only two schools in New Zealand which offers the very successful parallel education method of teaching and learning. In recognition that boys and girls have different learning needs during their formative years, parallel education sees our girls and boys taught in separate classes for all core subjects up until Year 11 when they enter a co-educational setting. 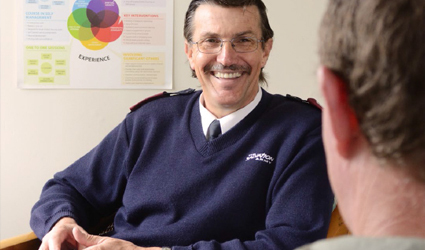 Since 1883, The Salvation Army has fought poverty and social and spiritual distress in New Zealand. There to help more than 120,000 families and individuals in need each year – with budgeting advice, food and clothing assistance, life skills programmes and other comfort and support. We build strong kids, strong families, strong communities. YMCA is a place where you can be yourself, feel comfortable with who you are and enjoy a sense of belonging. These centres teach new skills and develop peoples’ minds, encourage activity and health and this all in turn, with our warm and motivating environment lifts peoples’ spirits. We support individual and community change by empowering women, especially young women, to develop and exercise their individual and collective leadership through enhancing their spiritual, physical, mental and cultural well-being. We are committed to addressing all forms of oppression, so that women may together attain social and economic justice. To make New Zealand a better place by providing young New Zealanders with opportunities that enhance their leadership skills and values, creating community, role models and future leaders.